A group of Ben Franklin Career Center students has been assembling solar panel kits that will bring electricity to Navajo homes. The Charleston Gazette-Mail reports the six students spoke at a presentation Thursday at Ben Franklin about the kits. Student Traevon Isabell says each kit includes a panel that charges a detachable battery, which can light up the LEDs included in a light panel when the sun isn't shining. The battery also has a USB plug that can charge devices like cell phones. Isabell says the kits will be sent to the Navajo Nation, which is in Arizona and New Mexico and has about 18,000 people without power. Mountaineer Power and Energy has raised money to put together 16 kits. The state Department of Education has provided $7,500 in funding that will build 60 more kits. 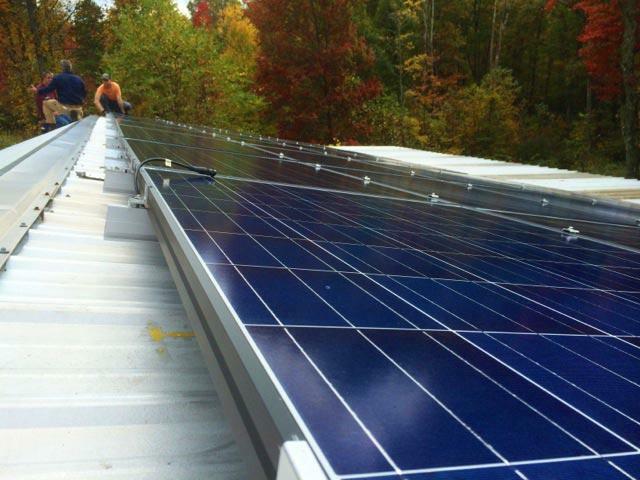 An outdoor adventure company is opening what state officials say is the first solar-powered hotel in West Virginia. A ribbon cutting is planned Wednesday at the renovated Quality Inn in Harpers Ferry. The event is open to the public. An old lot in Richwood may soon become a park featuring trellises with solar panels.